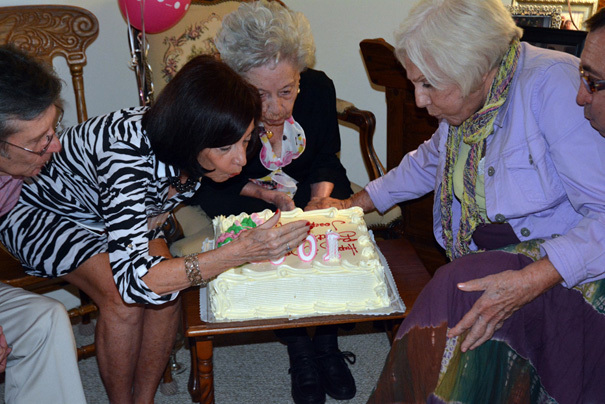 For those of you who have never attended a 100th birthday party (And who among us has?) 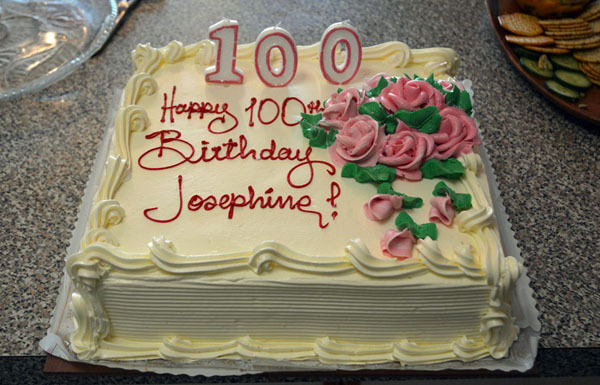 here are a few pictures of the one we had for my mother, Josephine, who was born 100 years ago, on May 24, 1914. Mom was overwhelmed at first, but became used to the fuss pretty quickly and got into the swing of things. 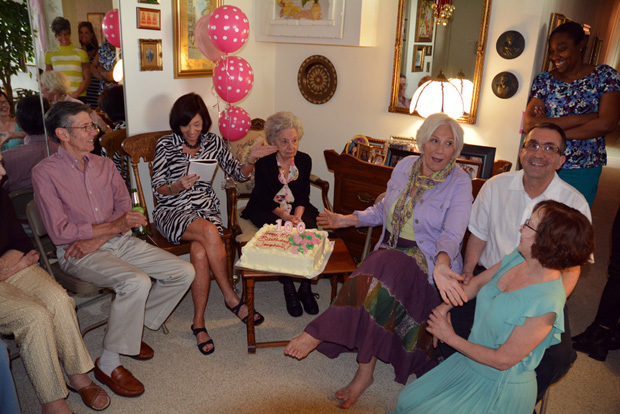 She stayed up longer than usual before announcing that the party was over, she wanted to go to bed, and we should all go home. After all these years, we still don’t always listen to our mother. We had lots of great food by Debbie Soffel Catering, balloons and decorations by Jennifer & Ron Fortunato, and a wonderful cake I got fromVeneiros in NYC But not enough cannolis. (Remember: Only Allah is perfect.) However! There were over 40 guests, including lots of relatives, and no shots were fired. I’ll bet this only happens every 100 years or so.